And this is where NPS or Net Promoter Score surveys come in. Good question – and an essential one, no less, considering the subject of this blog post. The NPS scoring system is indeed quite brutal – and therein the value of NPS lies. To help you understand what I mean, let’s delve deeper into the mindsets of Promoters, Passives and Detractors. Promoters: The best of the bunch, promoters are those customers that are nothing short of loyal enthusiasts, pleased with your offering at every turn, and who will indeed keep buying from you and referring their friends. These guys are cool. Passives: It may seem a little extreme to describe someone who is as much as 80% likely to recommend your business to a friend or colleague as “passive”. However, for whatever reason it may be, this cohort, although generally satisfied, are not so enthused with your business that they saw fit to score it a 9 or a 10. And this is worrying, for indeed it means that they are quite likely to be open to offers from your competitors. Therefore, they really are passive after all, and not the brightly-feathered brand advocates that the score suggests on the surface. Detractors: Uh-oh – here come the nay-sayers. Anybody who scores a 6 or below when asked how likely it is that they would recommend your company to a friend or colleague has a genuine grievance with your business. Those that do score a 6, you may think, aren’t so bad. But, actually, a 6 is not a 7, is it? To score a business with a 6 is a pretty strong indicator that they’re unhappy, and that’s exactly what NPS surveys are designed to reveal – how many of your customers are truly satisfied, and how many simply aren’t. A very simple equation – to get your NPS score, calculate your percentage of Promoters, and subtract your percentage of Detractors. You’ll end up with a score anywhere between -100 and 100. The fewer detractors, the better your score will be. There are multiple uses for NPS, beyond compiling an overview of how your company is performing as a whole. For instance, you could deploy NPS surveys to garner feedback for a particular product, a service, your customer service department, a piece of content, or practically anything else you can think of. Indeed, you could even segment your customer base demographically in an effort to determine why 20-something males are far more likely to be Promoters than, say, their 40-something female counterparts. It really is a very useful system that can be used to gain insight into all the nooks and crannies of your business operations. But, how can we use NPS surveys to improve our content marketing? Well, for the purposes of this blog post, I want to focus on using NPS surveys to make improvements to your high-end content output, by which I mean the big-value stuff – your downloadable eBooks, case studies, and white papers. When people download this content, you will of course be soliciting their email addresses for the privilege. Subsequently, you will also be using some form marketing automation software to send out a “thank you email” expressing your gratitude. All basic stuff, right? But now you will need to send out a follow-up email – and leave it at least an hour or two to give your readers time to digest your content (but no longer than that, else their enthusiasm may have waned). In this second email, you include your NPS survey question. Thanks for downloading our eBook. Can we ask you just ONE VERY IMPORTANT QUESTION? On a scale of 0 – 10, how likely would you be to recommend [name of eBook] to your colleagues and seniors? We use your feedback to help determine the quality of our content, and how we could improve it. Now you need to build three separate Thank You pages that respondents will be directed to once they have clicked a number. What questions do you still have that our eBook didn’t answer? How well do you think our eBook was researched? Did you like the design of the eBook? What did you like best about the eBook’s design? What was the most valuable piece of research our eBook revealed? You will now have two clear sets of results. First, you will know your eBook’s NPS score – and take it as an indicator for how much you need to improve it. You will also have some clear and concise feedback explicating exactly how your users think you should go about making the improvements. This is solid gold information, for it is far too easy for us content marketers to think that simply because we’re achieving downloads, we are also satisfying the downloaders’ wants and needs. Now, I know what you’re thinking – this is all quite a bit of extra work. And yes, it is. But worth it. Often, when nurturing leads along the buyer’s journey, all we have is our content to go by – and therefore it’s imperative that we know how well that content is doing its job. If one of your key eBooks that many of your MQLs (marketing qualified leads) have been downloading turns out to have a negative NPS score, then it’s likely putting off more people than it’s converting. And that is one serious problem that needs to be addressed. 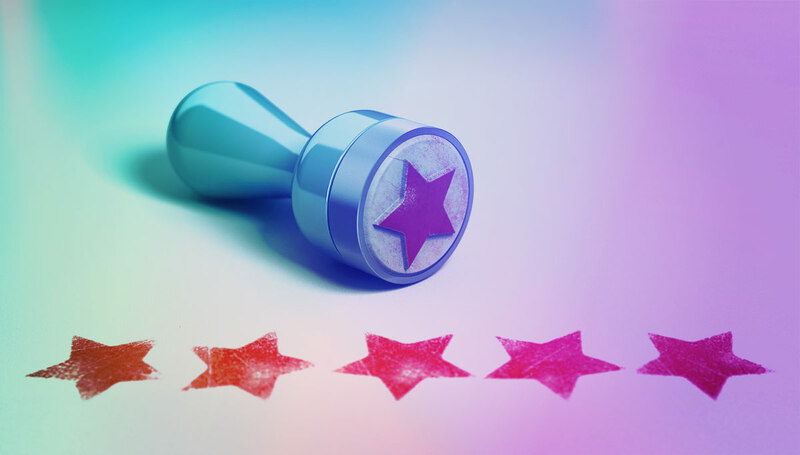 In short, our businesses are only ever as good as our marketing efforts, and finding creative and innovative ways to utilise NPS surveys is one sure fire way to make certain that we’re delighting as many of our leads and customers as possible. Need help setting up an NPS survey? No problemo. Get in touch with us here at My Social Agency – we’ve got all of your content marketing needs covered.